The British Rail Class 11 was applied to a batch of diesel shunting locomotives built from April 1945 to December 1952, based on a similar earlier batch built by the London, Midland and Scottish Railway (LMS) between 1934 and 1936. An initial batch of twenty locomotives was built during World War II, fourteen of which were built for the War Department, with the first ten of these (70260-70269) subsequently going to the Nederlandse Spoorwegen post-war as NS 501–510. LMS numbers 7120–7126 went straight into LMS stock, and a follow-up batch was built, 7129 being the last diesel shunter to be built for the LMS. British Railways continued to build the class from 1948 to 1952. 12131 was built in 1952 at Darlington works. It was an Eastern Region machine, being based around March, Ely and Cambridge before transferring into the hands of the National Coal Board where it worked at the Snowdon Colliery in Kent. 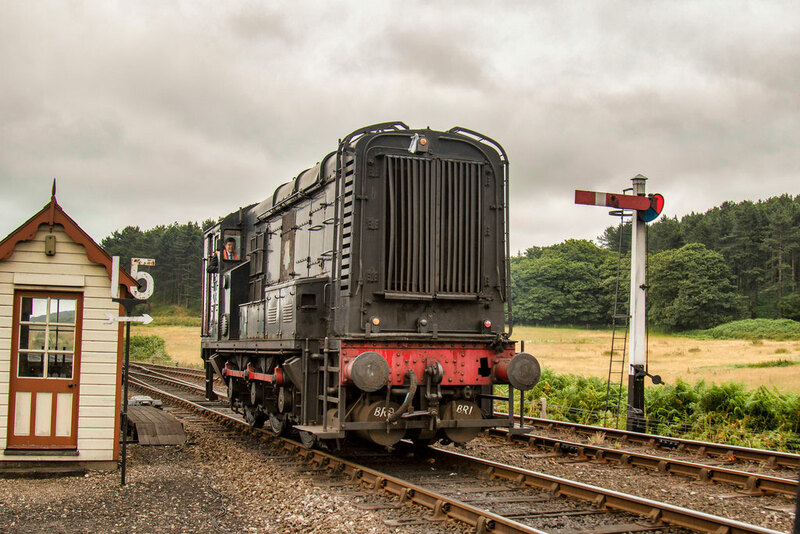 It was purchased in 1982 and was restored at the NNR shortly after. It is powered by an English Electric 6KT Diesel engine. 12131 is owned by a consortium of North Norfolk Railway volunteers.